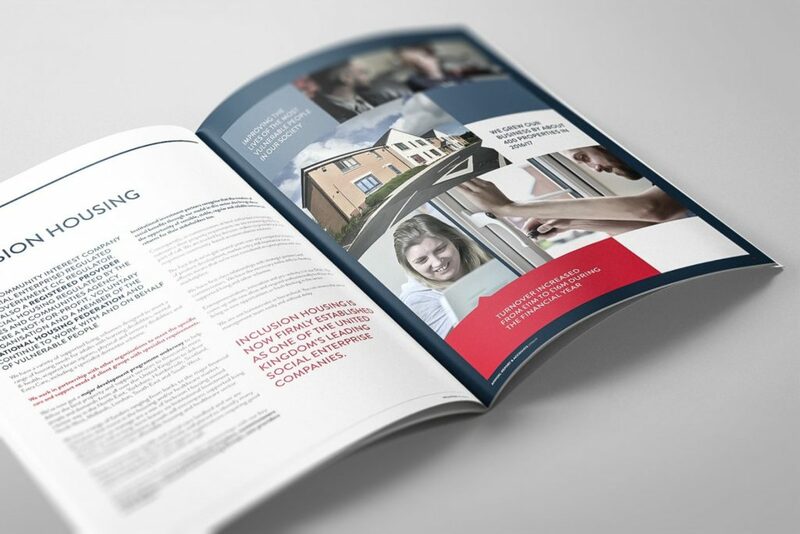 Inclusion Housing, the award-winning Registered Provider (RP) of social housing appointed our team to produce it’s latest annual report which was released earlier this year. It is the second year running that we have produced the annual report and it is a design project that we always enjoy doing. Inclusion Housing is one of the UK’s leading registered providers of social housing and takes great care to protect its brand and maintain consistency across all its communications. We share Inclusion Housing’s philosophy that relationships work best when you have complete trust in your choice of partner. Their team is collaborating with other professionals to define the future and lead the progression of the supported housing market in the UK. As well as designing annual reports we also provide a copywriting service to ensure that long-form narrative is crisp, punchy and readable. 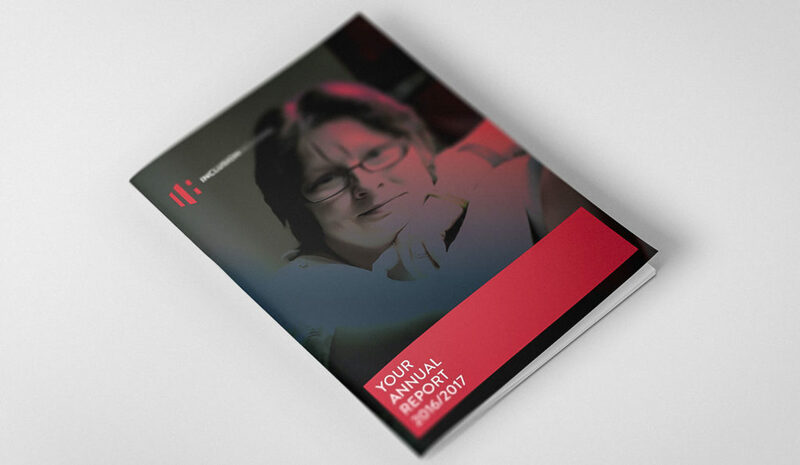 This particular annual report makes use of the strong visual identity developed by our client. It makes sensitive use of professional photography of real-life settings. We also colour graded it to maintain balanced contrast between key elements of the information contained within. Clever use of infographics also springs to life key data and is a useful technique for communicating large amounts of complex information. 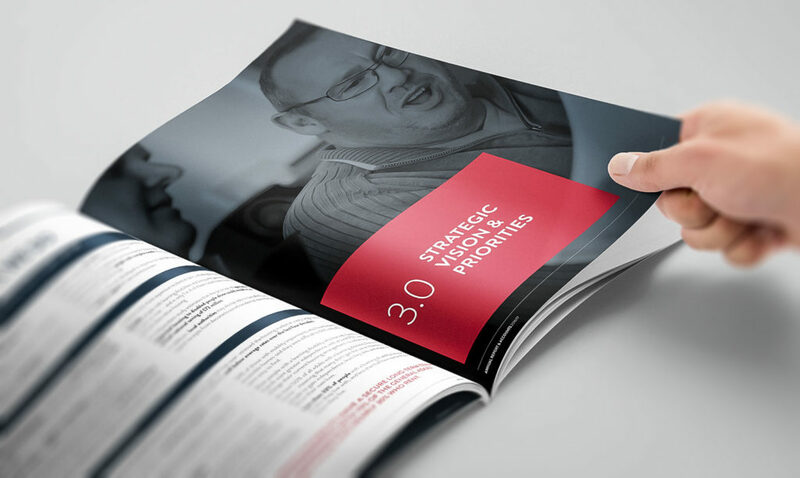 Designing an annual report requires more than just graphic design skills. It requires a true understanding of a brand and a clear comprehension of the contents of the report. 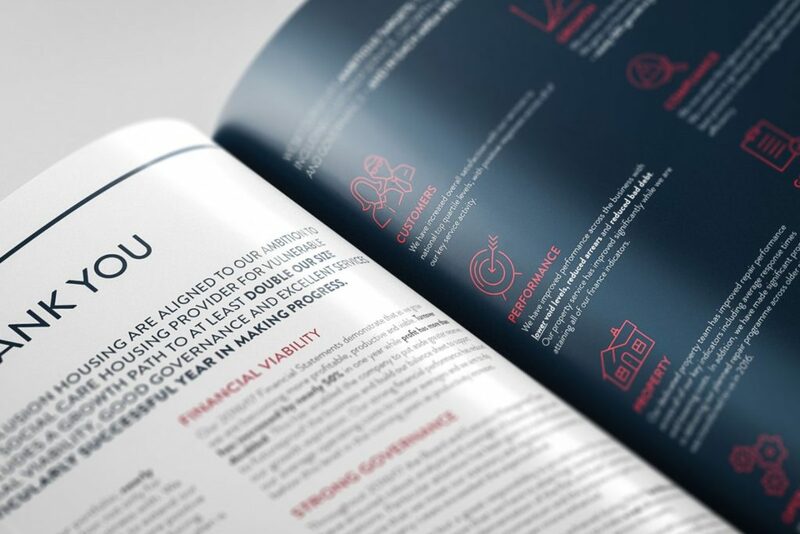 Our team of specialist annual report designers have produce stunning documents that perfectly reflect your position as a market leader in your sector. If you are a marketing manger at a housing organisation in the UK – speak to us on (0161 817 8050).